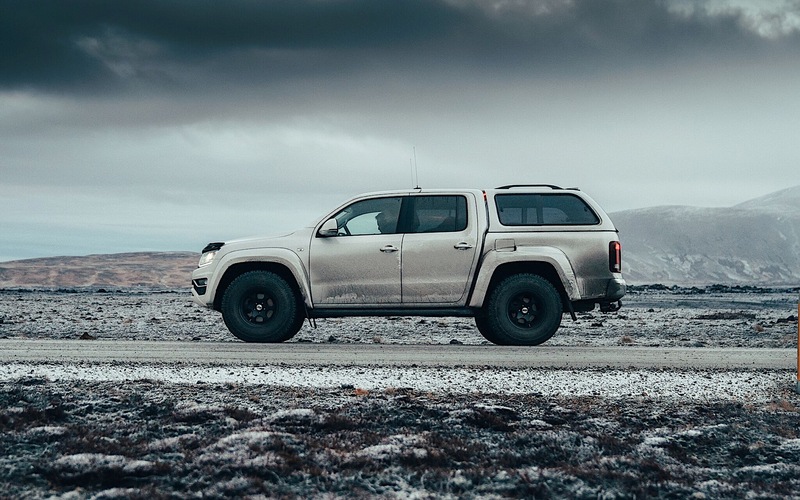 The Icelandic tuning company Arctic Trucks became popular in a big way when Jeremy Clarkson and James May drove a modified Toyota Hilux Invincible to the North Pole for an episode of Top Gear. 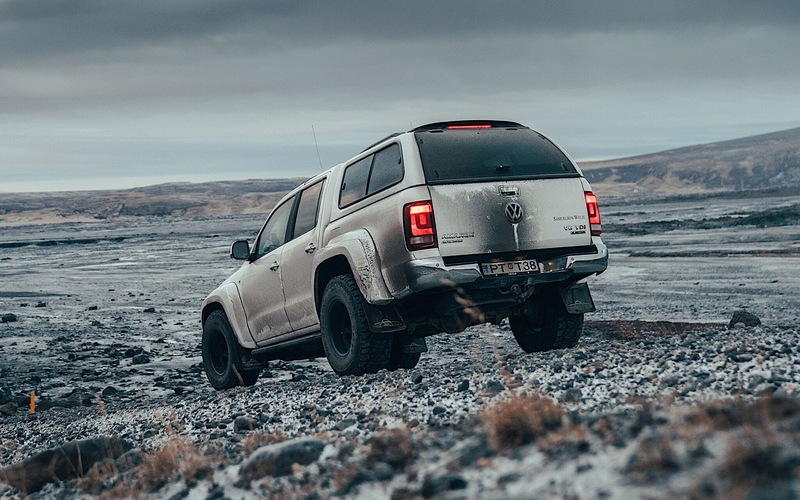 But the truck builders modify more than Toyotas, and they're part of a new one-off Volkswagen Amarok designed for arctic exploring and even has a cappuccino machine on board. 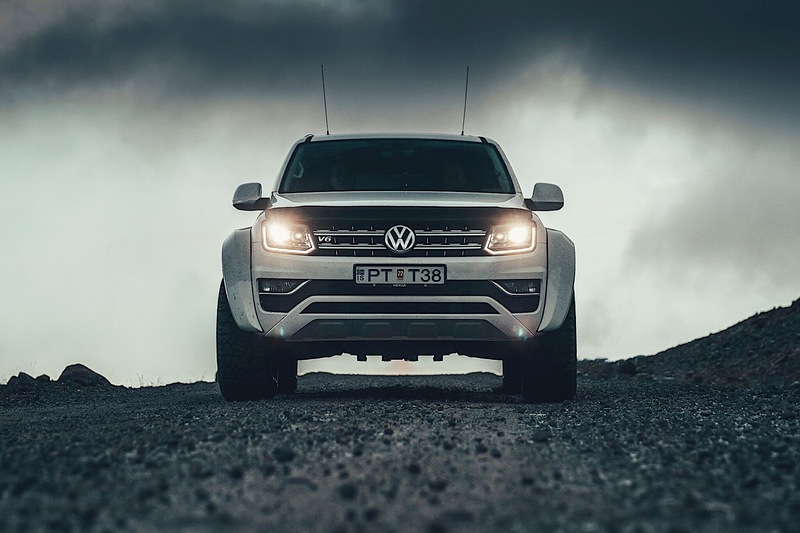 Called the Amarok AT35—not to be confused with the AT32 Navara we recently drove in Morocco—the truck starts life as an Amarok with a 3.0-liter V-6 diesel engine making about 221 horsepower (224 PS). It has a 25-millimeter front and rear lift, flared wheel arches, and bigger 315/70R17 all-terrain tires. Arctic Trucks mud flaps are also added front and rear. Capability remains at 45 degrees of climbing ability, plus a payload capacity of 2,544 pounds (1154 kilograms). The truck also has Hill Descent Assist and the widest load platform in its class. A fire extinguisher, VHF radio, toolbox, jack, first aid kit with a defibrillator, and a work light are included inside, along with the aforementioned cappuccino maker. There's also a portable generator to run additional equipment if necessary. 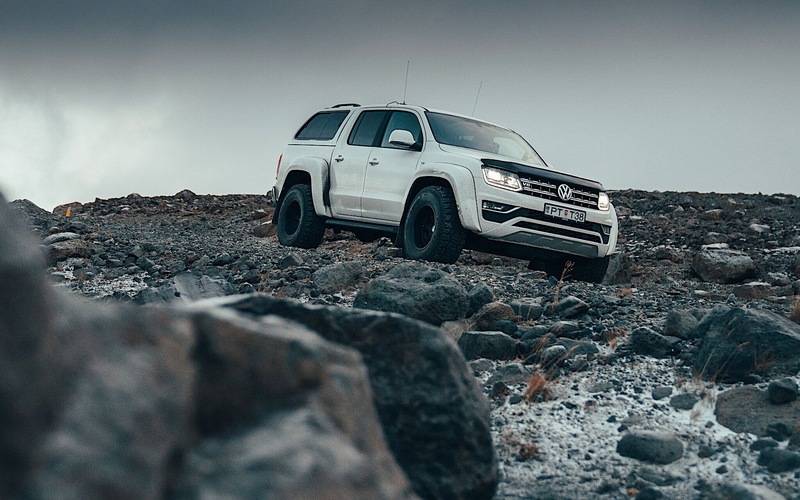 "The Volkswagen Amarok has been a massive hit since its introduction and we’re delighted to see it proving its worth in some of the toughest conditions in the world. For British drivers, the standard Amarok will be able to cope with everything winter has to throw at it," said Nick Axtell, specialist sales manager for Volkswagen Commercial Vehicles. While it's now just a one-off truck, it's not beyond the realm of possibility that this might become a package available for Amarok customers. As we mentioned before, there's presently an Arctic Trucks-built Nissan Navara AT32 available in Europe, and Toyota has worked with them in the past offering upgrades over the standard Hilux. Will the Amarok make it to the United States? Ford recently announced that it's working with Volkswagen on global trucks and vans, but as of now, those are to remain non-U.S. products. But we've seen stranger things happen.